Happy Saturday all! Today I have a short story for you that is really closer to a novel. Summerfall weighs in at about 130 pages and weaves a fascinating and thrilling tale. If you are looking for a sweet story, full of passion and intrigue, go check it out. Also if you plan to read Winterspell by Claire Legrand this story gives a great background and build up for it. In this captivating novella, prequel to the upcoming Winterspell, Claire Legrand weaves a story of magic, political intrigue, and forbidden love. Rinka is a faery, passionate and powerful, determined to maintain the tenuous peace between faeries and humans. Alban Somerhart is a human, a reluctant king trapped in an arranged marriage, desperate to prevent war. Their love could save the kingdom of Cane—or shatter it forever. Summerfall by Claire Legrand is the prequel novella to this fall’s highly anticipated Winterspell and tells the story of King Alban and Countess Rinka. 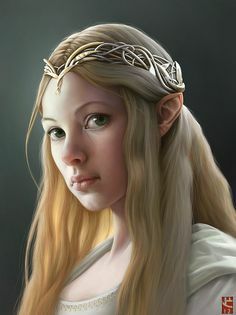 Rinka, fascinated with humans, disobeys her father and follows a group of Elves to Erastadt, the high king’s palace. Rinka hopes that while there she will learn more about the humans and build a bridge between their races. 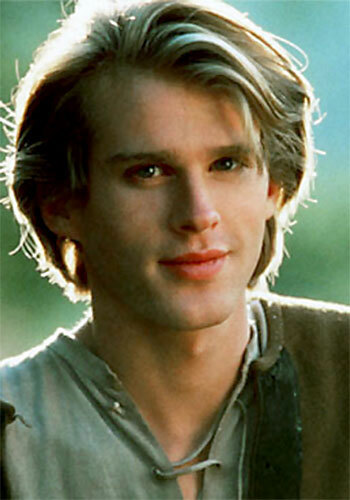 Alban Somerhart is the reluctant king, taking over after his father died. Alban, like Rinka, is fascinated with the Elves and hopes to bring his people together. When a forbidden love blossoms between them, their actions could save the kingdom or rip it apart. Rinka has a beautiful spirit inside and out. Just over a hundred years old (young for an elf), she is fascinated with the human race and everything about them. In fact, I’d say she’s a bit obsessive. But her obsession stems from love for her race and the need to protect both from war. Alban is very much a reluctant king in a loveless marriage. Forced into kingship at the age of 16 and then into an arranged marriage, he is bitter and often escapes the palace when he can. In fact, he first meets Rinka while he is out on a botched hunting trip. Not knowing who he is works to his advantage as he learns about her. Though he also has a fascination for the elves, his true obsession lies with Rinka. The plot of this story really revolves around Alban and Rinka, their growing relationship, and eventually affair, but also some world-building on the author’s part. The world of Cane is a magical place that exists by itself, apart from the Beyond or our world. I was intrigued by this world and found it enchanting. It was full of Elves, Mages, and humans, coexisting yet not happily. Hence Alban’s request for seven elves to be sent to his kingdom. Then there is the forbidden romance between Alban and Rinka. It is forbidden because the mixing of blood is taboo in their world. Elves and mages, mages and humans, or elves and humans are not supposed to mix. If they do, there are consequences. These consequences are thought to be myth, and Alban and Rinka believe that their love has the potential to heal the kingdom. However, it has the opposite effect. This short story is a gripping tale all on its own though it does set the stage for Winterspell nicely. It has an enchanting element that left me intrigued and wanting more. And yes I’ll admit that I shed a few tears…I’m a softie like that 😉 If you enjoy fairy tales, fantasy, and young adult literature (though in my opinion, this series is not young adult….well maybe mature young adult, 16+), then I suggest you check it out. It’s a quick read and will definitely leave you craving more. Claire Legrand used to be a musician until she realized she couldn't stop thinking about the stories in her head. Now she writes novels for children and teens. Legrand is the author of THE CAVENDISH HOME FOR BOYS AND GIRLS, THE YEAR OF SHADOWS, WINTERSPELL, SOME KIND OF HAPPINESS, and FOXHEART. She is also one of the four authors behind THE CABINET OF CURIOSITIES, an anthology of dark middle grade fiction. She lives in New Jersey. Visit her at claire-legrand.com and at enterthecabinet.com.